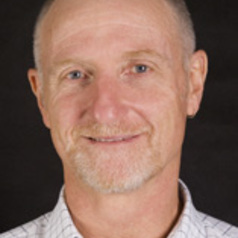 Greg Skilbeck is a sedimentary geologist with expertise in facies analysis, sedimentary petrology, diagenesis and physical properties, sedimentary basin analysis, and marine geoscience and palaeoclimate studies. After graduating from Sydney University in the 1980's, he was employed in the Australian petroleum exploration industry where he was involved in exploration in the Cooper Basin and Northwest Shelf. He has experience with 2D and 3D seismic and sequence stratigraphic interpretation and qualitative and quantitative geophysical log analysis. In 1994 Greg carried out a petroleum evaluation project in the PRC for the Earth Science Resources Institute (University of South Carolina), which involved assessment of the extensional basins along the convergent Pacific margin of China. He has been on the academic staff of the University of Technology, Sydney, since 1988 and is currently Professor of Earth Sciences. Over the past 20 years his research interests have ranged from sedimentation associated with convergent margins, specifically in reconstructing basin forming-processes from stratigraphic sequences. In order to provide modern constraints on these studies, he participated in the 1995 Mediterranean tectonics leg of the Ocean Drilling Program (Leg 161) and consequently developed an interest in marine geology and palaeoclimatology. Professor Skilbeck is currently investigating Late Quaternary palaeoclimatic and sea level variability from lake sediments in NSW and Hawai’i and oceanic sediments in the central and eastern Pacific, with a particular emphasis on reconstructing palaeo-El Nino. He participated in the eastern tropical Pacific deep biosphere leg of the ODP in 2002, sailing as a physical properties specialist. He is an International Atomic Energy Agency CRP Project Leader on the use of radioisotopes in the study of El Nino (2005-2009).